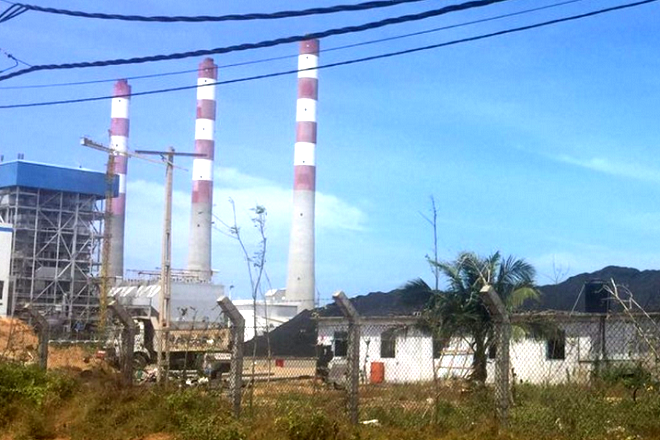 Opinion: Is electricity from Norachcholai coal power plant cheap? CEB (and the CEBEU) has been touting a cost of 5-6 Rupees for Norachcholai, saying that it is cheap. PUCSL approves the CEB’s bulk supply tariff every six months, and based on the last such approval, the fuel cost is Rs 5.75/kWh (based on a USD80/tonne delivered), the fixed cost (maintenance, salaries etc) is approx 4.25/kWh, totaling Rs 10.00/kWh. But this is not the complete story. Norachcholai financing costs are held by the treasury, and is not shown in any calculation by the CEB. In fact, no one seems to know much about the loan terms of the power plant. Based on reasonable assumptions, this would add approximately Rs 3.00 to the electricity cost. CEB and others conveniently omit this cost in all conversations, which is misleading. This brings the fixed costs of coal per unit at 7.25 compared to 5.75 fuel costs. In 2015/16, the plant number 1 of Norachcholai was unable to run due to technical faults for 14 months. So during this time, the fixed costs per unit of electricity went up to Rs 10.88 per unit, pushing the cost for electricity produced from Norachcholai over Rs 15 per unit! It is unfortunate that CEBEU and some energy specialists continue to mislead the public by only talking of the ‘fuel cost’ for generation rather than the full cost. But if one digs a little deeper, it becomes clear that these numbers exist only on paper, and costs are more than what is given here. In reality, no one really knows what the true cost of electricity generated from Norachcholai is. Here, I articulate some areas of serious concern. How much coal is burnt to generate a unit of electricity? The above calculations are based on a standard rate of 0.4kg/kWh. This number will vary based on efficiency – when plants are running on part load, when calorific value of coal changes, during incomplete combustion and humidity of coal. For example, earlier this year, Norachcholai power plant was unable to sell their fly ash to cement manufacturers due to unburnt carbon present in the fly ash. If there is unburnt carbon, it is unlikely that 0.4kg/kWh was maintained. Another issue is due to community complaints related to coal dust, water sprays are used to suppress dust, elevating the humidity of the coal. This could significantly reduce the efficiency. The actual number may vary on different conditions. How much coal is unloaded into the Norachcholai coal storage? It appears that no one knows. When the coal is unloaded from the jetty to the coal yard, there is no mechanism to check how much coal is unloaded, because the scales are broken! It makes one wonder if we are even getting the full quantity of coal that we are paying for! Suffice to say that this is not a good practice – I do not know any major industry who does not have a system to measure materials received before payments are made. Now this is even more concerning because there is evidence of significant coal spillage during the two stage unloading process. The coal ship is anchored mid-sea, and then coal is unloaded onto a barge. The ship is about 30 feet taller than the barge – and the unloading process mid sea leads to lots of spillage, especially in choppy sea conditions. The fishermen anecdotally suggest that the spillage can be as high as 10% – I have seen short videos shot on phones by the fishermen – but no one can estimate the spillage because there is no measurement system. There is a smaller spillage during unloading and transporting from the jetty especially during windy days due to the jetty sides being open. Any resident along the beach, all the way to Kalpitiya will tell you that coal lumps being washed onto the shore from the spillage. A bigger issue is the fact that coal is highly toxic, and large spillage into the ocean will have a significant negative impact on the marine life. What can we say about costs then? It is difficult to say. If the losses are about 10%, that would add about Rs 0.50 per unit, and any efficiency penalty is likely to be higher either due to incomplete combustion or humidity increase. The continuous use of diesel (estimated over 100,000 litres per month per plant) would add some cost as well. The breakdowns significantly increase diesel costs. Breakdowns increase fixed costs per unit also. Though we normally attribute 80% utilisation for the plant, Norachcholai has never run at 80% through its whole history, running far lower than that. That the plants have not been running at the desired plant factor (80%) for any year after construction is also a concern, and this drives up the fixed cost per unit. My guess would be that it is reasonable to use an average cost of Rs 15/- per unit as a conservative estimate. These numbers are of course subject to Rupee depreciation and vagaries of coal price. The coal price is in an upward trend from a 5 year low in 2015. In the last six months, price has increased by 25%. To put this into perspective, this amount is much higher than most other forms of electricity, including wind, mini hydro, natural gas, and if properly done, large scale solar. While this is simply the financial cost, the full economic cost is substantial. Of interest is the social and environmental costs of pollution, to the immediate community and beyond, and ecosystem damage. In Norachcholai, ecosystem damage include the following. a) loss of biodiversity (and impact to fishery) through high extraction of water (impact to fish eggs, larvae, microfauna and microflora. The power plant extracts 3 Billion litres of water per day. Note that pass through cooling system of Norachcholai is not allowed in a lot of countries purely for this reason. c) impact of dust and coal ash blown into the village – impact to resident health and agriculture. Note that these are toxic, including heavy metal residues and fine particulate matter. These attack multiple organs of the body, with serious health impacts to children and the elderly. These costs are significant, as the local community also attests. Normal method (that is also required of CEB), is to use a full economic valuation – meaning costing the damages for these as well – which has never been done. There are global studies available, a good source is the EU Ecofys report which evaluated the impact of PM and human toxicity to be approx Euro 0.035 (Rupees 5.60) per kWh, even with better pollution controls. The social/environment cost of Norachcholai cannot be any less than this. If we use this value, the price per unit from Norachcholai already pushes past Rupees 20 per unit. This too is likely to be a conservative estimate. So it is not right to claim that coal power is cheap, especially in the context of Norachcholai power plant. When considering the transmission/distribution losses, this amount becomes higher than the current rooftop solar tariff! It is important to understand true costs for energy generation to have a meaningful dialogue about future. The misinformation on Norachcholai costs are not helping a meaningful conversation about energy generation in Sri Lanka. This article was amended by the writer to incorporate feedback from reviewers including those from CEB.